To the dismay of Denmark's Air Force, which had been betting on F-35s replacingthe country's aging fleet, the National Audit Office has decided that the pricey war toy is overrated, arguing that the Defense Ministry has been far too optimistic in its evaluation. For Denmark, where the acquisition of the US F-35 fighter jets is set to become the largest-ever state purchase, the new report highlighting the shortcomings of its prized possession, is hardly good news. The new fighter jets, which are expected to set Danish state coffers back DKK 66 billion ($10 billion), could actually yield much more modest performance than that stated by the Defense Ministry, the National Audit Office (NAO) found in a report. 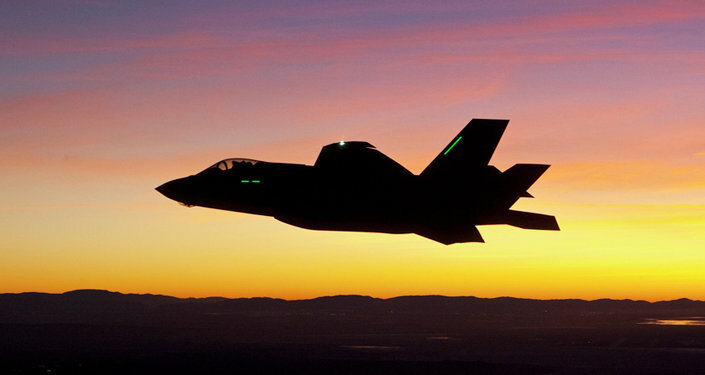 According to the NAO, the Defense Ministry has overestimated the amount of tasks the 27 new F-35 aircraft can handle. Another blunder regards how many hours the aircraft can spend in the air. While the Defense Ministry proceeded from a solid 250 hours a year, the same fighter jets only are airborne 168 and 210 hours in Norway and Holland respectively, Danish Radio reported. "There are a couple of over-optimistic figures," Ole Wæver, a professor of international politics at the University of Copenhagen, said. According to Wæver, there are two important consequences. "First, some of those who have promoted the decision may well feel cheated. The other problem is that the aircraft we have purchased are unable to perform as expected," he explained. Denmark's leading daily Berlingske suggested in an opinion piece that the newly-revealed shortcomings may force the country to buy more aircraft than the 27 initially decided, in addition to tarnishing the Armed Forces' reputation. "The dishonest figures also reveal that both civil servants and ministers are willing to use fake marketing to promote an otherwise sensible political choice," Berlingske wrote. The NAO's criticism came shortly before Parliament is to make a final decision on the purchase of the 27 new F-35 combat aircraft that will replace the 44 Danish F16 aircraft that have been in service since 1980s. The agreement on the new combat aircraft was concluded in June 2016 between the Liberals, the Social Liberals, the Liberal Alliance, the Danish People's Party and the Social Democrats. ​Rasmus Jarlov, defense spokesman of the Conservatives, which did not support the agreement, said that the NAO's report was not surprising. "We reached the same conclusion last year. But it's good that the NAO can confirm that we were right," Jarlov said. Despite the criticism of the ministry's assessment of the aircraft's capabilities, Social Democrat defense spokesman Henrik Dam Kristensen is confident in the decision. "I have a lot of respect for the NAO, but when we talk about flying hours, it's very important to listen to people who are knowledgeable about aircraft technology," Henrik Dam Kristensen said. "I just believe that the combat aircraft department, which is manned with experts in the area, may be better at assessing this than the National Audit Office," he ventured.